Chapter 7 just continues the stupidity, needless brutality, and wasteful excess. 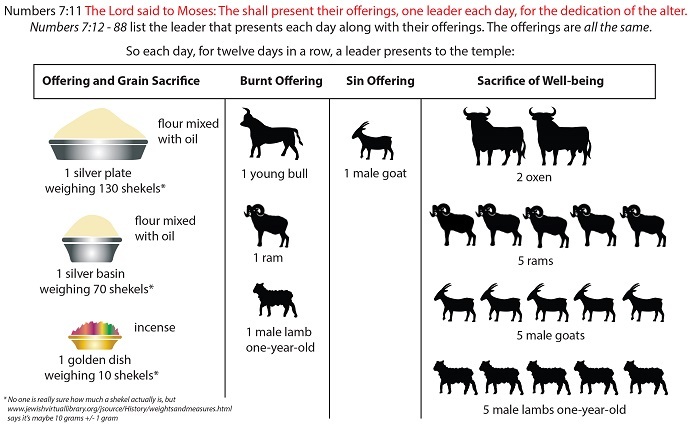 It reads like a sort-of twisted version of the 12 Days of Christmas, only instead of a celebration, each day brings another slaughter, as each day a different tribe brings their offerings to the lord. 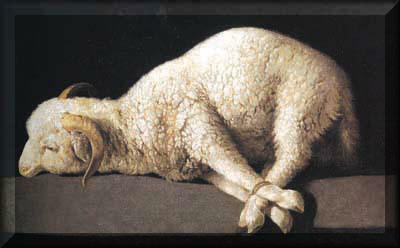 A total of either 240 (according to the SAB) or 252 (according to Ed) animals were sacrificed. I don’t know which of these numbers is correct and I can’t be bothered to recheck the math; suffice to say it’s nasty and cruel either way. And then on top of all that, ‘God’ (ie the priests, who else?) receives a total of twelve silver platters, twelve silver basins, and twelve gold incense containers, for a total of 60 pounds of silver, and 3 pounds of gold.